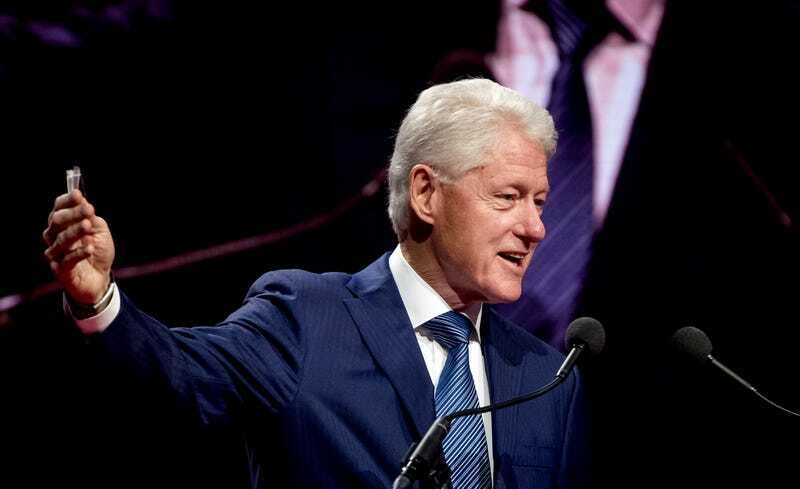 Former President Bill Clinton said Thursday that the nationalism movement that has engulfed politics in America as well as other countries around the world is part of a more insidious and interconnected movement to institutionalize separatism and division around the world. Politico reports that Clinton was giving a keynote speech at an event hosted by the Brookings Institution honoring the late Israeli Prime Minister Yitzhak Rabin when he made the comments. It was his first major public appearance since his wife, Hillary Clinton, lost the presidential election. Politico notes that while Clinton did not specifically mention President Donald Trump, he repeatedly warned against the “us versus them” thinking that he said has become an active part of politics in America, in the Brexit vote, in the Philippines and throughout Europe. “The whole history of humankind is basically the definition of who is us and who is them, and the question of whether we should all live under the same set of rules,” Clinton said. Clinton repeatedly held up his old friend Rabin, who was assassinated in 1995, as the standard that contemporary politics is falling short of. Rabin was a man changed over his life, Clinton said, displayed courage and was so reliable that then-Palestinian leader Yasser Arafat was so “in awe of him” that he was ready to make agreements based on trust. Rabin “was smart, he was careful, he understood the insecurities which roil through every society at every time—and instead of being paralyzed by them or trying to take advantage of them, he tried to take account and bring them along,” Clinton said. He said that though “we are programmed biologically, instinctively, to prefer win-lose situations, us versus them,” world leaders should look to Rabin as a model rather than continuing down the current path of politics. Clinton said that Rabin’s approach to finding ways to work and live together is what is needed in today’s world.